Have you heard of the new Kiehl's BB Cream? I personally think that BB Cream phenomenon is already overdone. It is kinda late for Kiehl's to break into this trend that is dying. Anyway, some things are better late than never. I heard of the BB swap promotion at Kiehl's, so I brought my old BB Cream and swap for a new Kiehl's BB Cream in deluxe size. And I've been using it for 3 days. So far so good. 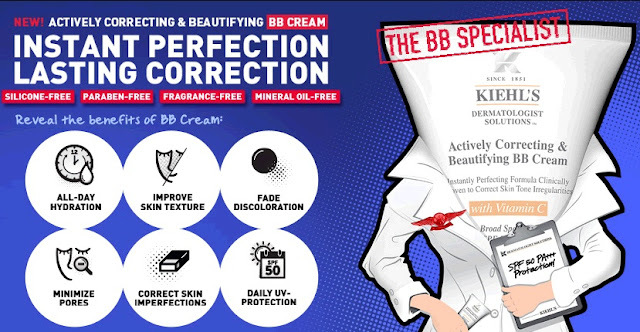 The Kiehl's BB Cream leans more towards the Western style of BB Cream. The Asian ones have only 1 shade and the cream contains tiny white beads. The Kiehl's one is more of a tinted moisturizer type. The texture is thick and creamy, but not sticky. Once you even out the BB Cream on your skin, it melts and blend into your skintone. The coverage is sheer to medium. If you have dark pigments on the skin then it wouldn't be sufficient to use just the BB Cream to cover up. 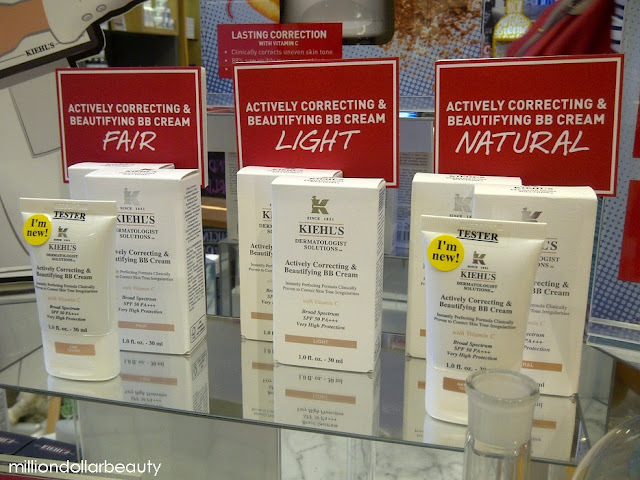 What I love about the new Kiehl's BB Cream is that it is light weight, although the texture is a little bit thick. It doesn't feel sticky and icky on the skin. For coverage, I think it is pretty good and can be a substitute to foundation. As for the skin benefit promises, I can't tell if it is as effective as it sounds. I probably have to finish the entire full size tube before I can tell if it's that good. 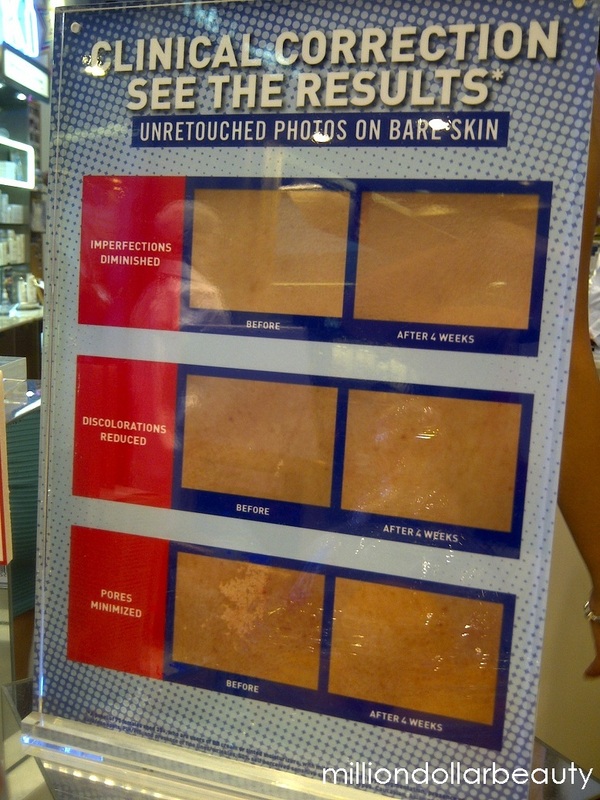 Meanwhile, if you want to try the Kiehl's BB Cream, they are giving out sample sachets for you to try for 4 days. And if you have existing BB Cream, just bring yours and exchange for a deluxe size tube which can last for 2 weeks. Remember to bring the empty ones so you won't waste it. The promotion last until 20th March. Correction: I went to Kiehl's yesterday and the board says that you can exchange for the BB Cream until 17th March. But online says 20th March. I'm not really sure now. To be safe, just go before 17th. LauraLeia: The sachet one lasted 4 days. I'm sure the deluxe size one can last about 2 weeks. Or is it I use too little?